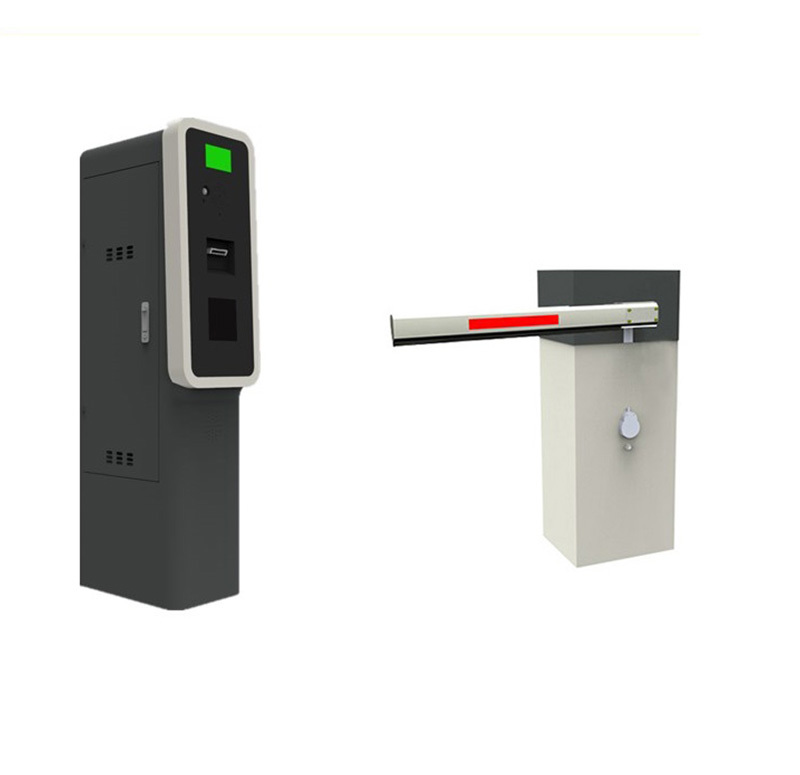 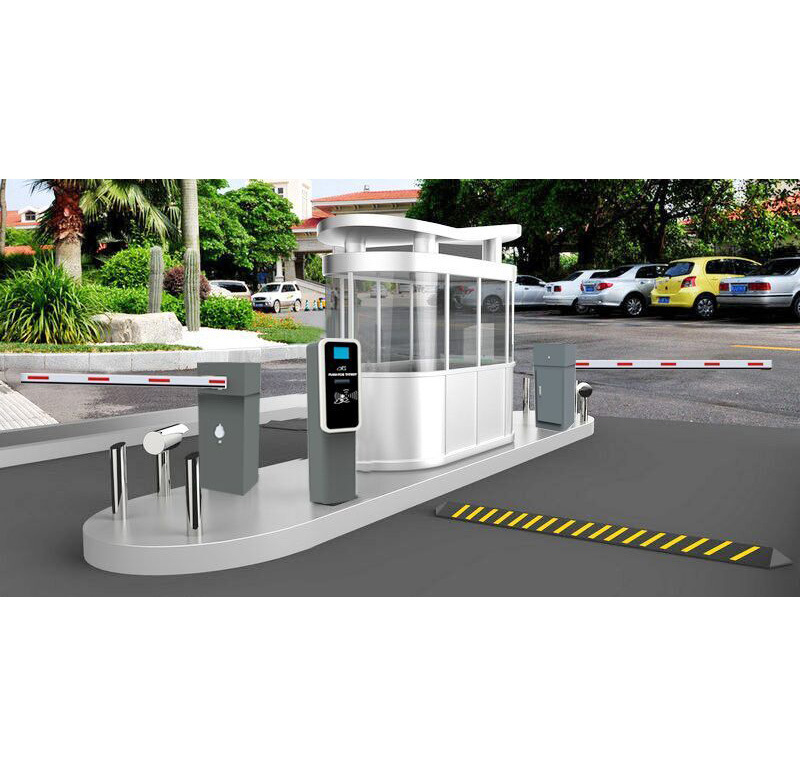 The parking exit terminal-- parking ticket validator (also known as exit ticket verifier) are opening devices used to open exit barrier gates once a ticket has been inserted by a patron. 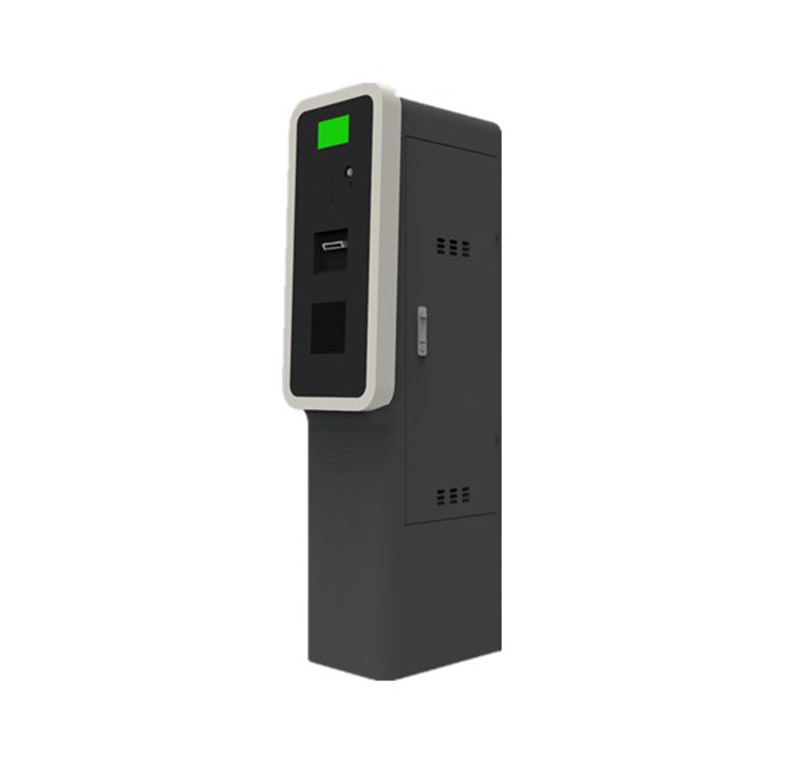 It includes a built-in proximity card reader which permits monthly customers to exit with a simple wave of their card. 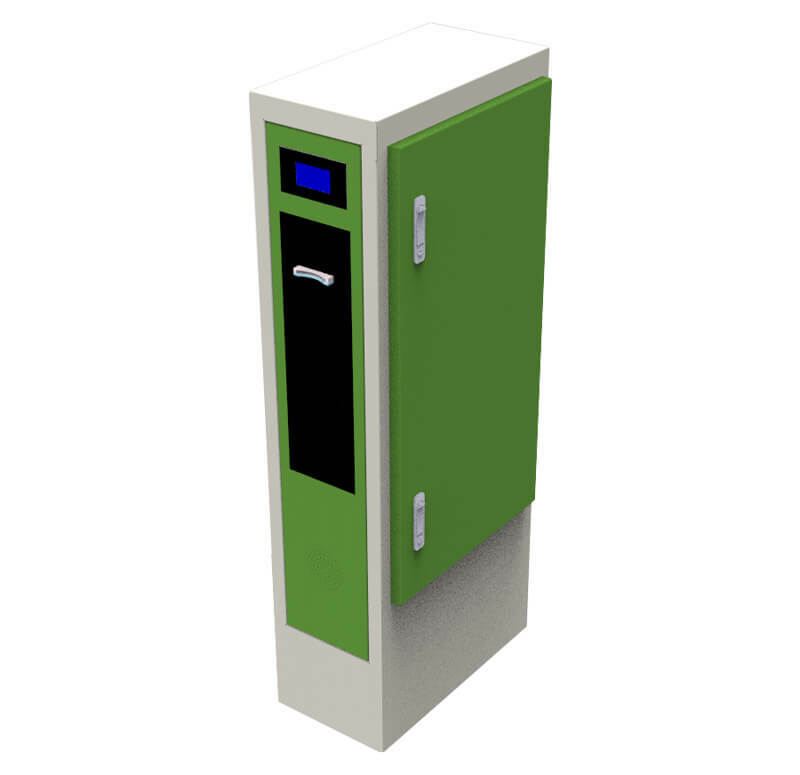 The interior device is mounted on sturdy sliding tracks which glide open with just a pull, allowing for easy maintenance and retrieval of the tickets.